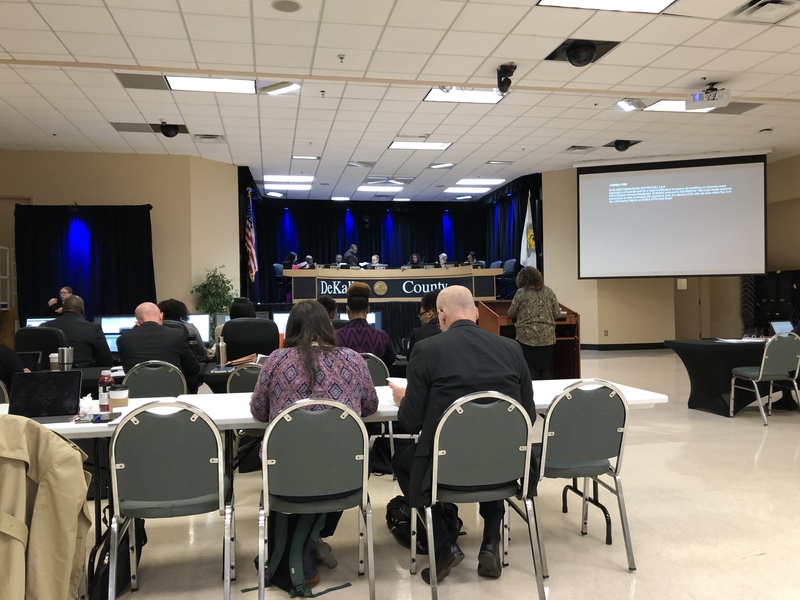 DeKalb’s Board of Registrations and Elections is in drastic need of an upgrade–increased staffing and technological improvements, obviously. It has operational and leadership issues as well, as people who deal with the Board can attest. And did. Eight DeKalb residents showed up today to speak in favor of an audit and election reform. One of today’s speakers, Whitney McGinniss, made the news last fall over her absentee ballot issues in DeKalb and provided a brief recount today. As a regular Board observer, I had a few things to say, as well (see below). There is no time frame for completing the audit. Chief Audit Executive John Greene told commissioners that developing the scope of the audit should take about sixty days. Estimate for the audit’s length: six months, although the Board of Elections would have two months to respond, so I’d guess the audit may be completed early next year. Maybe. Good morning. I’m Jonathan Grant. I’ve been a DeKalb resident for nearly four decades. I live in unincorporated DeKalb between Chamblee and Tucker. I’m a writer—a former newspaper journalist and state government spokesman—and I blog about politics at Brambleman.com. I strongly support the proposal for auditing the DeKalb Board of Voter Registration and Elections. A thorough, wide-ranging audit should be part of an major overhaul that improves staffing, technological capabilities, and Board leadership. 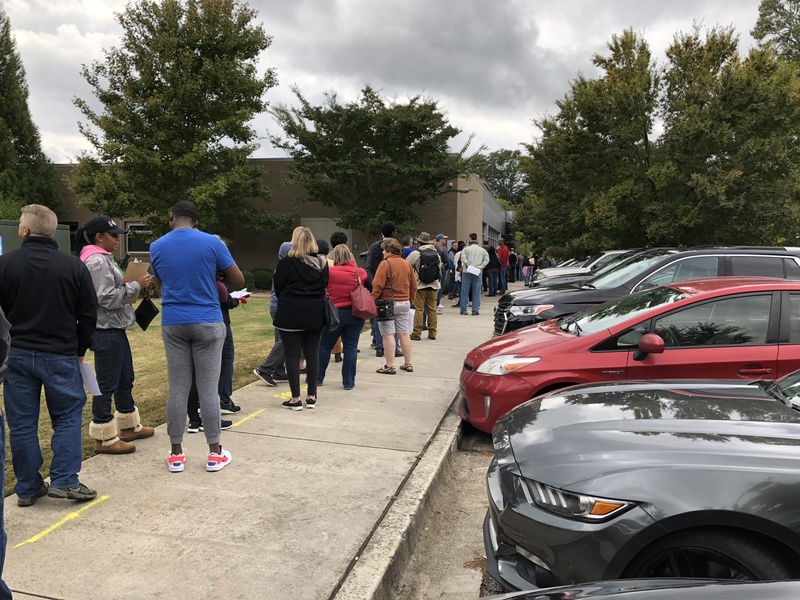 While the Board bowed to public demand and opened up more sites for the runoff between Jon Ossoff and Karen Handel, DeKalb’s election planning is stuck in the past, especially concerning early voting sites. During the 2018 primary runoffs, the Board reverted to form, opening only one early voting site—the main office—even though there were hotly contested runoffs in both parties, including the GOP gubernatorial nomination and the Democratic Sixth District race. Despite public requests for more early voting sites, not one was opened within the Sixth. I believe this affected the outcome in DeKalb, which eventual winner Lucy McBath narrowly lost. And then there’s this. During the 2018 primary, Doraville City Council member Stephe Koontz learned that she couldn’t vote in Rep. Scott Holcomb’s race. While she lived in House District 81, the Board had her listed in House District 79. I saw that her situation wasn’t unique and brought the issue to the Board’s attention at its May meeting, to no response. In fact, the issue festered until the media became involved the next month, and this is just one example of the Board’s complete lack of public relations skills. Upon researching the issue, I found that 800 voters had been casting ballots in the wrong district over four election cycles due to the DeKalb Board’s error. Later, I found a similar mistake in the Dresden precinct, affecting a similar number of voters. That was corrected before the 2016 election, without acknowledgment that I’m aware of. I wouldn’t be surprised if other split precincts have been similarly butchered, and I’m afraid the problem will repeat in the next round of redistricting. There are other problems. The agendas are empty, the decision-making process opaque, and open government issues include this one: After I made an open records request for the minutes from a monthly staff meeting, the agendas no longer listed the minutes as an information item. And now I’ve been told by Elections Director Erica Hamilton that the staff no longer has monthly meetings, therefore no minutes. These problems—and there are more, of course—reflect poorly on DeKalb government and erode citizen confidence in the electoral process. This is an agency that has not adjusted well to public scrutiny. It desperately needs major improvements—among them, a change in attitude to come to the light.